This “Backlit keyboard” is associated with membrane keyboard where all keys are same membrane and backlit is like a central light shared by all. It makes no conflict when each set of these keys is conducted. 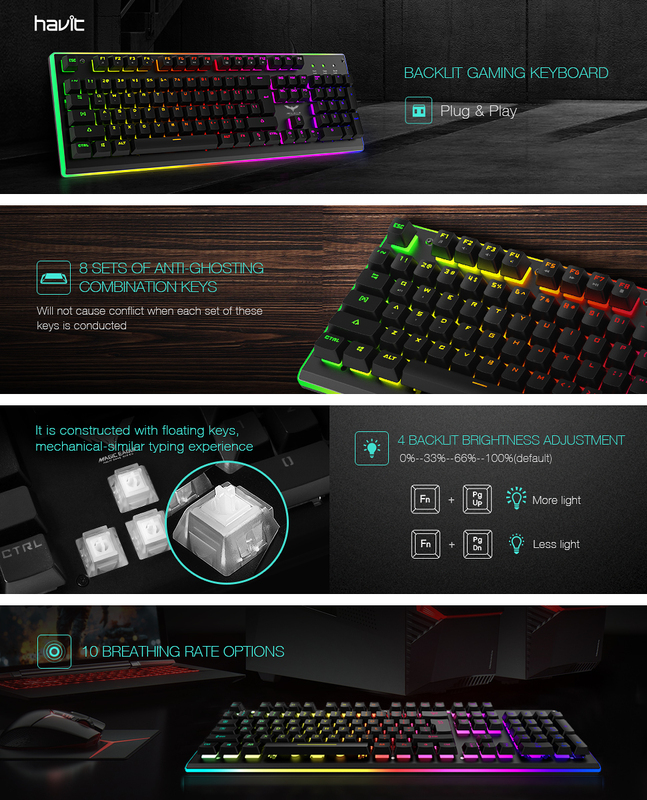 It is constructed with floating keys, mechanical-similar typing/gaming experience. 6 areas backlight customization supports. Press Fn “1-8” to select modes or custom area light.